Not every company gets good reviews on Angie’s List—which is exactly why people trust it: Angie’s List reviews come from homeowners like you; they are unbiased, they are not anonymous, and they can’t be bought. 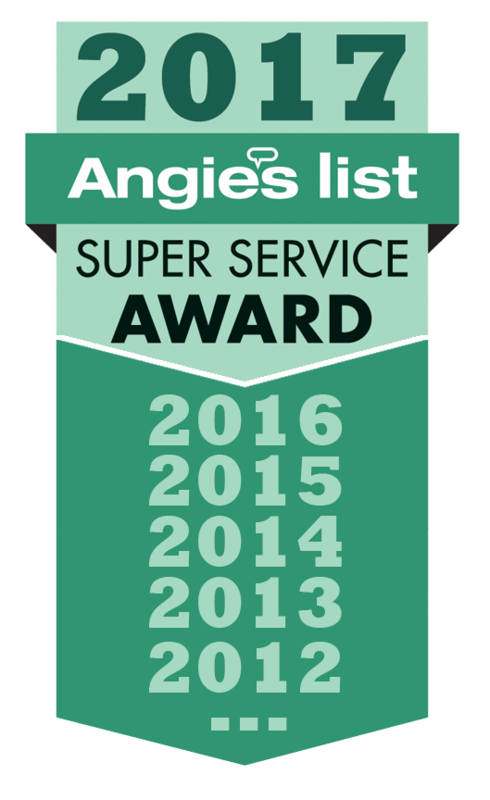 Ridge Top has not only earned outstanding reviews on Angie’s List, but it has been honored with the Angie’s List Super Service Award for several years in a row. That means we’re a company that time and time again has received rave reviews by homeowners who have actually hired us! You’ve undoubtedly heard of “buyer beware,” which is why the Better Business Bureau is here to help you identify unscrupulous companies. Ridge Top Exteriors enjoys an A+ Rating—the highest rating the Better Business Bureau can award to a company! It’s because we not only do high-quality work, but we stand by it, and treat your home as we would our very own! 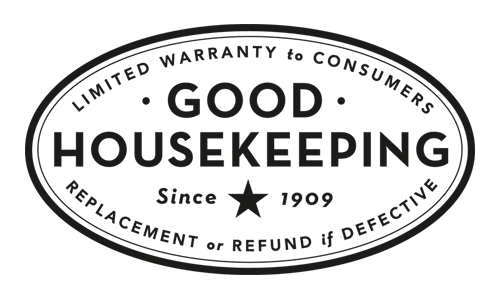 Who doesn’t know of the Good Housekeeping Seal of Approval; the gold standard that companies strive to achieve? Ridge Top Exteriors has earned that, and it’s more than just an award: Good Housekeeping is so thorough in awarding this honor, and so confident in the providers they award it to, that they will guarantee the work they perform. That means that when you choose Ridge Top Exteriors, in addition to our own warranties, you get an additional Good Housekeeping-backed warranty too! In the age of Google, it’s very quick and easy to punish companies that let you down by posting a bad review. Ridge Top Exteriors consistently receives very highly positive Google Reviews, and we’re very proud of that. It speaks to the quality of the work we do, and the fact that we provide uncompromising customer service to the homeowners we serve! You may not be familiar with the GAF Master Elite Award, but in our business it’s a very big deal. Only 3% of companies nationwide receive this high honor—so it’s both highly coveted and very hard to earn. Ridge Top Exteriors is a GAF Master Elite Contractor, which means we’re among the top 3% of all contractors in the United States when it comes to the quality of the work we do and the service we provide. When you choose Ridge Top you get more than just a roof, siding and windows: You get peace of mind! 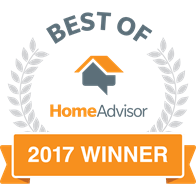 There are plenty of roofing contractors on HomeAdvisor; plenty of replacement window companies, siding installers, companies that build decks or replace gutters—but how many of them have been so highly acclaimed by their customers to have been named the Best of HomeAdvisor? How many companies have been recognized by homeowners who have actually hired them and experienced the quality of their work first-hand, earning this prestigious distinction?